One of the perks of working with cool people is that they tend to do cool stuff outside of work. So when an old co-worker asked for help with initial branding for her handmade CBD products, I gladly hopped aboard her hemp train. Within a few short weeks, we came up with an initial logo design, color palette, and rough brand direction—enough to get her first batch of products on the local shelves and lookin fine. 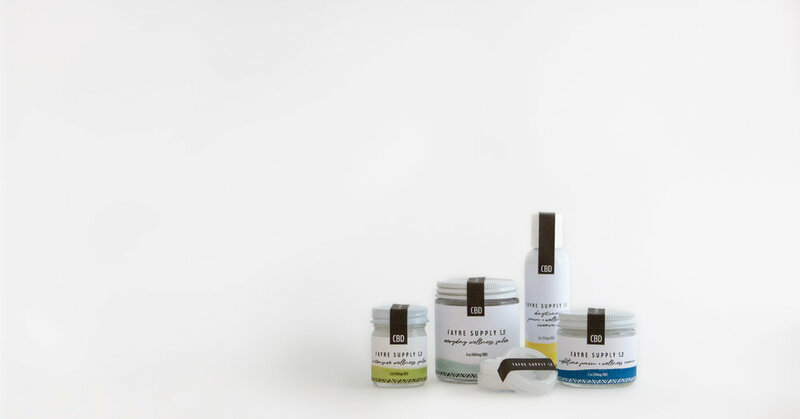 Her products are handmade with organic hemp plants and organic coconut oil produced by her farming partners in Bali. These neat-o facts make her products unique, and I wanted to pay tribute to that esoteric nature with the design. The color palette is earth-toned, the watercolor swashes on the packages are hand-painted, and the patterns are inspired by traditional Balinese textiles. I also took this as an opportunity to set up a mini lightbox and learn about product photography with my fancy new DSLR, which you can see in a few of the process photos here.